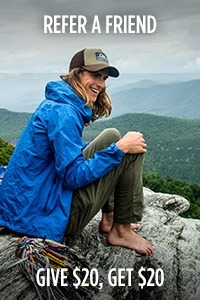 Who can join the Outdoor Research Pro Program? 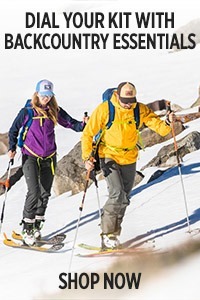 The Outdoor Research Pro Program is intended for full-time, year-round individuals employed in the outdoor industry and military/government positions who spend the majority of their career in the outdoors. 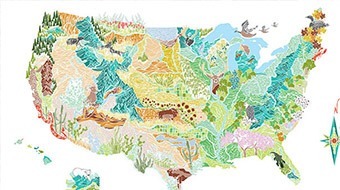 This includes (but is not limited to) professional guides, outdoor educators, ski/snowboard instructors, Search and Rescue, National Park Service employees, outdoor industry professionals, etc. Seasonal and part-time employees do not qualify. Approval for the program remains at our discretion based on the applicant’s professional standing, job type, and core values. For more information, you may contact us at [email protected]. 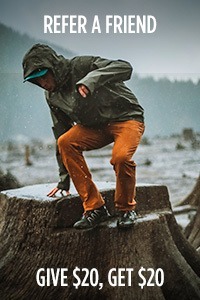 What does Outdoor Research consider a “seasonal employee”? For us, ‘seasonal’ means that you work for a short amount of time during the varying seasons, but are not employed in the outdoor industry for the remainder of the year. This includes ski resort employees, summer camps, fixed-season programs, among others. However, there are a few exceptions for seasonal employees. ‘Seasonal’ employees who work in the outdoor industry year-round (ex. Ski instructor in the winter and climbing guide in the summer) are considered year-round employees and can apply as such. Additionally, Search and Rescue volunteers and similar positions – due to the nature of their job – would qualify for the program. How do I apply for your Pro Program? You can fill out the online application by visiting https://vip.outdoorresearch.com/welcome. For applicants with a work or military-issued email, please apply with a civilian email and upload your credentials when prompted. If your position requires certifications or other documents, you will be prompted to upload those with your application. Once you have filled out and submitted the application, please allow 3-5 business days for the approval process. What documents do I need to supply with my Pro Program application? If your position requires specific certifications, you will be prompted to upload those with your application. We will accept a paystub or similar proof of work as a substitute. Please blackout any sensitive information, like salary or social security number, before the documentation is sent over. Can I return or exchange items that were purchased through my Pro deal? Pro customers can return gear purchased within 3 months of the purchase date for a full refund. Pros can return gear for an online credit up to 6 months after the purchase date. Pros are responsible for submitting their own returns. Returns can be set up through your account when you are logged in and can be returned for online store credit or a refund to your original payment method. Orders placed using a combination of online store credit and credit card will have the credit card refunded first, then store credit will be allocated to your account. Pro orders cannot be returned to our retail store in Seattle without an RMA#. We do not offer exchanges through the return process, but if you would like to make an exchange, please email [email protected] and they will be able to assist you. To submit a return sign into your account, access your order history, find the PO # associated with the items you want to return, and submit the return through there! For any exchanges please reach out to [email protected] if you received an additional discount with your original order. Can I purchase a gift for someone else using my Pro account? No. 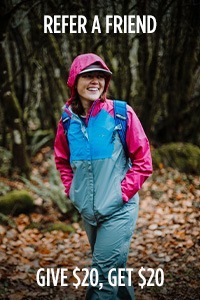 The Outdoor Research Pro Program is designed for you and your personal use only. Purchases made for others or as gifts through your account are not allowed and will result in your removal from the program. How do I contact customer support for Pros? You can reach the Pro Program Customer Support team by emailing [email protected]. How long do Pro orders take to ship? Is it possible to expedite the shipping process? Pro orders typically take about 5-7 business days to process prior to shipping out of our warehouse. Once the order has been processed and shipped, travel time within the United States takes between 2-6 business days for delivery, barring any transportation errors with the shipper. We do offer 2-day and 3-day expedited shipping methods, but it will still take between 5-7 days to process your order before it ships out from our warehouse. We do not accept expedite requests for faster shipping options after an order has been placed or accept requests for expedited order processing in our warehouse. *Orders may take 10-14 days to process during holidays or sale periods. Does my Pro Program account expire? Pro accounts are set up for a year-long term and will need to be renewed each year. When it is coming time to renew, you will receive an email from us letting you know that your account is about to expire, followed by renewal instructions. Can I apply for the Pro Program if I work internationally? Currently, our Pro Program is only open to residents in the United States and Canada. You can still apply if you have a forwarding address in the US or Canada. I’m in the military and am stationed outside the United States. Does Outdoor Research ship to APO addresses? For United States military members stationed abroad, we do ship to APO addresses from our US warehouse. When you apply for the Pro Program you must include a US, non-APO address. Does free shipping apply to Pro orders or returns? No, our free shipping for orders over $99 only applies to general consumers. Pros must pay the cost of regular shipping as well as return shipping. Do you offer a warranty on items purchased through the Pro Program? Yes, our Infinite Guarantee® applies to products purchased through the Pro Program. 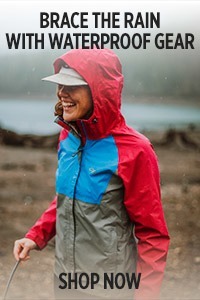 Learn more about our warranty at: https://www.outdoorresearch.com/warranty. Can I use my Pro account to purchase uniforms for my team/employees? No. 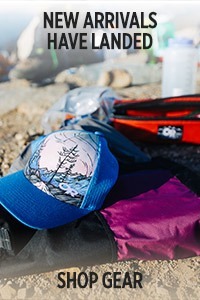 The Outdoor Research Pro Program is designed for you and your personal use only. If your team or employees all qualify for the Pro Program, they should apply for their own individual accounts. For large group orders or to order uniforms, you will need to go through our Group Sales department by emailing [email protected]. Where can I submit product feedback? We encourage all Pros to leave product reviews as often as they can. As part of our Pro Program, we trust your expertise to let us know what you love, what could be improved, and how you like to use your favorite pieces of gear. Pro customers are expected to be respectful of Outdoor Research employees, especially customer service and retail store staff. Disputing warranty outcomes, disregarding employee issued directives, or being disrespectful in any sense is a violation of pro program rules and will result in revoking of Pro privileges. I see at checkout that I am asked to donate to a non-profit, is this required? Donating to a charity on every purchase is an integral and required part of the Pro Program. Under no circumstances will the charity donation be waived, demanding the removal of the donation is a violation of pro rules and may result in the revoking of Pro privileges. Do not call customer service if you are having issues submitting a return, reach out to [email protected] so they can instruct you in submitting the return.